I love tall plants, and below is a tour of some of the more interesting and robust ones that work for me. And we're talking herbaceous perennials, ones that grow 4, 6, 10 feet in a single season. Without this added height, I'd have to wait a decade for shrubs and small trees, and wouldn't benefit from a long bloom time, or even any blooms at all. These tall perennials add much needed structure, a sense of privacy, safe perches for birds, and are pollinating insect magnets. There are lots of eupatoriums, and I have several species. It's fairly familiar, I think, but it's important because every species I have draws in the bugs like crazy. The Joe Pye in the foreground will get to 10', the one further back is at 7' and I figure it's maxed out. A stunner Joy Pye is E. altissimum 'Prairie Jewel,' whose Jackson-Pollock-speckled green leaves erupt with white blooms. Unfortunately, for some reason, my 5' beauties this year have all struggled out of the gate and only one is doing ok, but only at 3' tall. Too much rain I figure. Last fall I put in a half dozen plugs of this coreopsis not expecting to see 7' tall whispy stands this summer. Whoa. I am in love with this unique coreopsis. Holds up very well to our high Nebraska winds, and it takes up so little space. I can't stand the Barbie-pink blooms in May, even though they smell like roses (when roses used to have scent, remember those days?). The second image shows the much more interesting copper after-blooms that last all summer. There are short cultivars, notably Filipendula ulmaria 'Flora Plena' which blooms white, but there are also white blooming and gold-leaved cultivars out there that get to 4'. If you plant milkweed and liatris ligulistylis together, you are guaranteed monarchs all day long. This liatris, among all others, draws them in (see?). It's a thin, tall plant that doesn't take up much space, so you can plug one in anywhere. The seed heads are also nice. Blooms now into September. Bees love this unique foliage plant. And look at the seeds. Neato. It gets a bit wide, 4' in one direction for me in year 2, but its foliage is a nice change of pace while the blooms take their time in mid summer. I admit the blooms of this guy are boring--you can't see them unless you have a zoom lense. However, it's candelabra winter form is appealing to me, and I use it to brace other tall perennials nearby, like ironweed and monarda. Ironweed gets its name from the color of its post bloom / pre seed color, not its ablity to stand straight, which it doesn't after the first windstorm. The blooms are purple and brief but glorious and always awash in bugs come early July. This native bee balm blooms a few weeks after the more common red, and is a much more appealing color than those gaudy pinks of the newer cultivars. It loses its leaves as you go down the stalks, like most monarda seem to do, so it's best to have something 2' tall in front of it. It stands strong fairly well. This bloom is from another burnet, since 'Dali Marble' blooms in mid to late fall for me, just barely sneaking in before frost. The foliage, in the first image, is tipped in cream. A robust grower and stands strong, as well. Another favorite, white turtle heads on sturdy and thin stalks. Blooms August to September. Bumble bees like the challenge. I just printed and mailed the most recent version of my memoir to an agent who, last spring, said she'd look at it again if I reworked it substantially. I have done so. It's better, it's closer. I lost enthusiasm when the box slid down the mail slot at the post office. I'm tired of trying. I don't even want to send things out anymore, to tell you the truth. It just isn't worth the time of finding places, preparing envelopes, and mailing. Not for 1-2 acceptances per year. Today a rejection came for my poetry manuscript. I'm used to these, but I felt good about this press. Two chapbooks have been printed from the contents of this book, and yet no one takes the book. There's a lot of crap out there, and I know I'm at least as good as all of it. Which makes me think about poetry book contests. So many are, if you look from year to year, clearly slated toward a few people and their particular mode or style. Those 6 people might as well be the only ones entering each year. What a club. I'm unhappy with my job to boot. Not the teaching, not the time with students, not that, but the pay, the stuck in Low Pay Ville, the use-you-and-lose-you beast that has become higher ed. I feel chewed up. Roto-tilled. I'm wasting my life. In two months the garden will be nearly done blooming, leaves turning, weather cooling, the school year in full swing. And the only thing that can fulfill me and keep my head above water is to chip away, bit by bit this fall, at the research for the next memoir. I think. I hope. As I was driving to the post office and back, I passed people on the downtown Lincoln sidewalks. A man walking, leaning back to counterbalance his belly, swinging a lunch pale. A woman in high heels and pressed black pants with those large "can you see me" sunglasses women wear these days. A city worker watering a young tree. Another young woman in very high shorts wearing white tennis shoes and black socks. Two GQ men walking side by side and into a coffee shop. Two plum middle-aged women who seemed to have lived a hard life, judging from their scowls and leathered skin, leaning back in folding chairs behind tables of colorful clothes, plastic, and what not arranged on a short driveway. We are all so similar and so different. We have no idea how each person lives inside their house, in that row of houses there in the middle of what was once a corn field. But we know they want similar things, to be healthy, happy, loved, and full. And yet it is so hard to live. I know I don't even have a clue, privileged as I am. I suppose I feel like an emo kid today, and I wonder if they don't live richer lives in their solipsistic turmoil, because at least they feel deeply, even if those emotions are completely inward, dark, and draining. The older I get the less I feel deeply, the harder I have to try to do so. All I have left are these words, and they pale in comparison to what's out there, right now, living, failing, falling, celebrating, changing. All I know is I feel quite stagnate. Like some bronze statue of a bison in the middle of a park celebrating a dead culture, more for its nostalgiac value than the intrinsic longing and realization to be something better than we are right now. but none that tell if you are one. two lanes away, the alley I avoided. last night--lonelier and less afraid. If that was life, this morning must be after. I don't know if it's the snob in me, the snarky / immature teenager in me, or a combination of both, but I get real persnickety when I hear someone refer to a woody perennial (and not a tree) as a bush. President Bush, and which one? You got one, you got the other. Bush beer? I don't care for beer that much. Go away. Bush Gardens? Makes me vomit. Don't beat around the bush, Mr. Deep Middle, tell us how you really feel. Talking about bushes makes me feel bushed. And I mean bushels of bushed. It's like when you make borscht for 20 people, that leaves you bushed. Not shrubbed. There's a reason you don't drink Shrub beer--though someone ought to invent beer made from shrubs. This whole conversation makes me so incredibly shrubbed. Look folks, it's a shrub. Not a bush. If it's in your garden or cultivated landscape, and it isn't a tree or a coneflower or some such herbaceous perennial, 'tis a shrub. SHRUB. SHRRRUUBB. And while you're practicing this new word, I say let's go ahead and start using some latin names--if anything, just to annoy our spouses and appear to know what we are doing outside, as if it were work and science and method vs. joy and luck and diversion. Start A Garden Landscape Business? I've been thinking about doing something stupid off and on for a while, and I don't mean buy a new car I can't possibly afford (but the Audi wants me, I know it does). 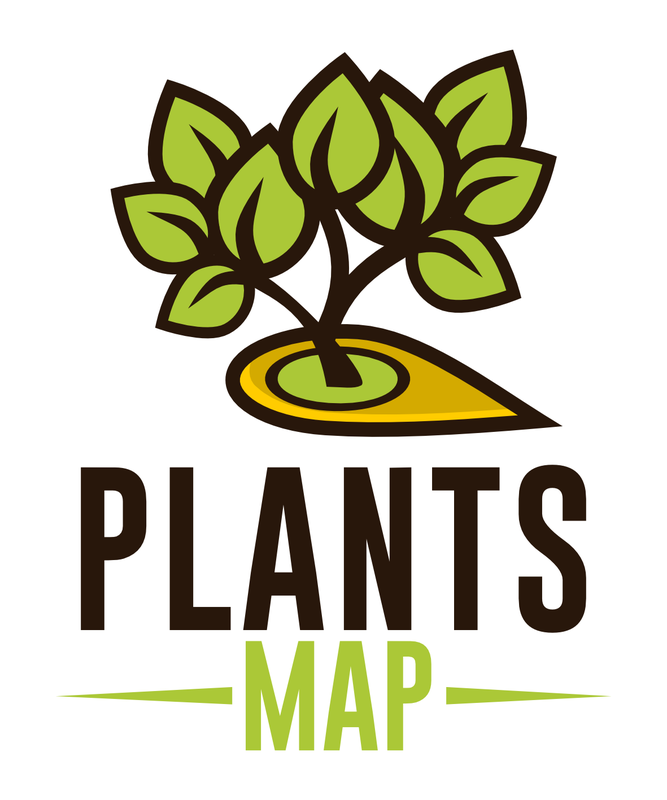 I have sweet dreams of designing small gardens and beds full of native Plains plants. I imagine stimulating conversations with clients, and clients who let me do what I want and love it. Then I imagine clients who know nothing, are nit picky, don't know what they want, change their minds, complain about rain, insist I replace dead plants years later, ask me just how much agent orange they should put on their milkweed to keep the caterpillars off.... Perhaps the negatives outweigh the positives when it comes to customer service. I imagine a neighbor approaching my open garden gate, asking to have a peek, then insisting I take a look at their yard, what do I think, would I like to earn some extra money and do a foundation bed? Yes, I would. Teaching low level college courses (10 years now) for minimum wage--and giving so much of myself to never make any headway or earn upward-mobility credit--is burning me out from a profession, a vocation, I have genuinely enjoyed immensely. Maybe I could switch part of my income to something else, and during the school year free up time to write. Maybe I could win the lottery. Maybe cash could grow on serviceberries. Maybe I'd have a more chiseled physique. "Now shut up and pay me"
"Do as I plant and no one gets hurt"
"The right plant for the right to plant it"
Butterflies have swarmed the garden. Skippers, painted ladies, sulphurs, tiger and black swallowtails. Even an 8" long dragonfly with a good 6" wingspan has made a recent appearance. As my wife and I weave through agastache, coneflowers, giant joe-pye weed, liatris, milkweed, wild senna, and culver's root, the blooms rise like inverted glitter--we seem to be in a snow globe. As we stand on the deck overlooking tall butterfly bushes that reach through the railing, swallowtails dart and weave through the covered space, arc to blooms, settle, rise in a panic, settle, and gracefully encircle us again. We are held tightly to this world. But it will always be the monarchs that pull me in the closest--their arial acrobatics are a marvel. Males will often "attack" other males, seeming to pinch at them in the air and chase them off, protecting a liatris bloom. They will also do this to other butterflies, moths, and even dragonflies. If anything, monarchs seem to be far more territorial than other winged insects. The other evening two males were competing for a female until one gave up and retreated into the cedars. I don't know if it's love, lust, panic, or simple phermonal response imbedded in them like the unconscious act of breathing, but the arial courting is intense. The couple, spinning in and out of each other a double helix, rise like flames vanishing into the air above, then fall fast like fading fireworks before racing across the garden. Their motion reminds me of a grade school teacher who, while singing "The Itsy Bitsy Spider" made crawling motions with her hands. As the spider went up the water spout, she touched the tips of pinky to thumb on opposite hands, her arms rising in the air. These are the monarchs, chasing and being chased, flashes of orange and black like the sun on the horizon--or simply a glance through time that is both momentary and eternal. We will always be held tightly to this world. 1) Plug me on your blog in a special post, linking to this post here (click "this post here" to get to the post you should link to). It's helpful if on your own post you mention the giveaway, say that the book should be ordered by 9/3, what the book is, that there are some sample poems to check out, how attractive I am.... You know, get others to post about the giveaway, too. 2) Come here to this post and leave a comment with a link to your own post so I can make sure you did your homework--then you'll be entered in the giveaway. 3) Sometime after 9/3 I will randomly pick 3-5 lucky winners, contact them, and each will get a free copy of the book mailed to them after the publication release on 10/29. That's it! Now get going. Please. *Void where prohibited. Limit one book per blog author. Special taxes may be enforced by certain states (what they might be is anyone's guess), and payment of those taxes are the responsiblilty of the winner. Winner agrees to hold author free of winner's like or dislike of poems, and poems are in no way guaranteed to be good or interesting or moving or even written in modern English (a good 80's band, though). Some poems may require additional reflection, so please use caution while using your brain. Paper cuts may also ensue, but since the publishing industry is in turmoil, it may very well be that in ten years you'll have to worry more about keeping your ebook reader charged than bandaging your skin. 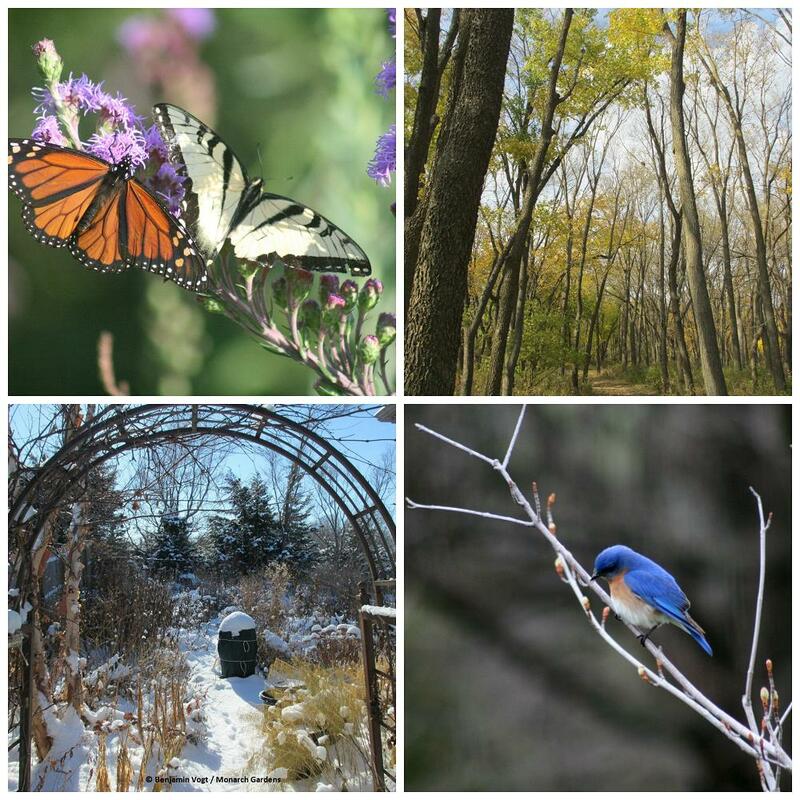 5) 100 acres of midwest land, part woods, part pond / lake, part meadow or prairie. On said lot I'd like a modest, mid-century modern home, say 3500 square feet (geothermal, solar, wind powered), with a writers' studio out back of about 200 square feet. A small swimming pool would also be nice, with a 10,000 square foot walled garden. I see no reason why on a birthday one should not wish for anything but material extravagances--birthdays are transient and momentary, dreams formed and wishes made, reminders that we are fleeting yet can endure beyond our beginning or end. In other words, we are gardens. My second poetry collection is ready to preorder. Place those orders by 9/3/10. The book's release will be 10/29/10, but if you order now you only have to pay $1 in shipping. The more preorders sold, the higher the press run, and the more books I get to sell and to send to reviewers, contests, et cetera. $14 for the book, $1 for shipping. Go here to order, scroll down (way down, it's alphabetical by author) until you see the cover image of my book, and then pay online (you can also mail checks to Finishing Line Pess). 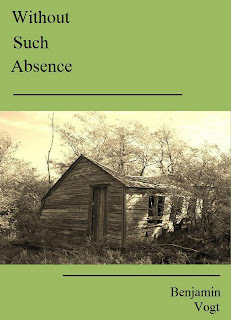 Benjamin Vogt’s Without Such Absence is a book filled with unanswerable questions, as if plenitude – of world, or body, or love – can be felt only framed by loss. 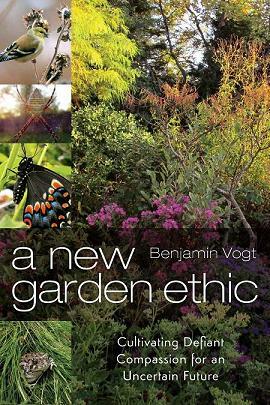 Vogt loves the natural world and makes us love it, too, especially when he gives formal gardens voice. It’s his wit, and terror, and delight that frame these fine poems, finally, that speak the stories behind the old photographs in all our albums. ‘No one remembers unless they have a souvenir,’ writes Benjamin Vogt. 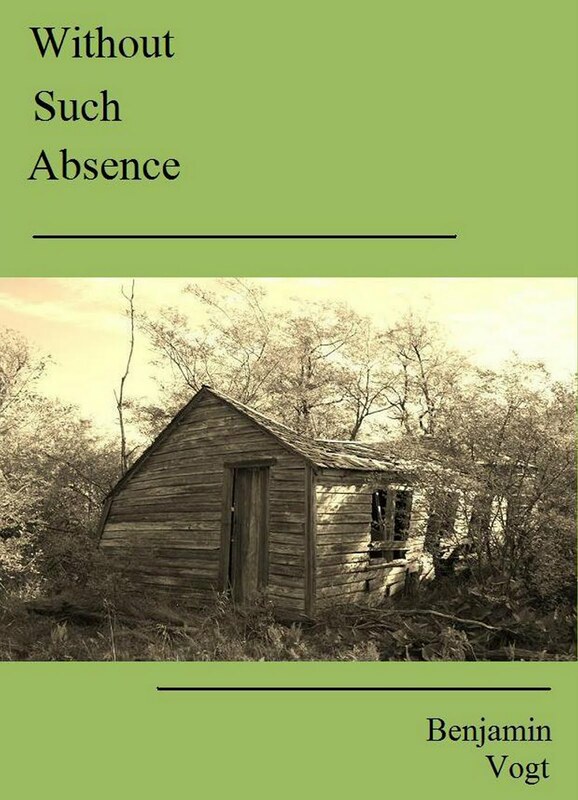 In Without Such Absence, poems themselves become souvenirs. These are photographs of a lost America—wooden schoolhouses, clotheslines, faded flags, and strange gardens—a poetry so polished and formally rigorous that we cannot forget the places Vogt has captured. Enter through the hedge like wind slipping from itself a stained earthly veil. Step forward with calm to find a stone in your path—all flowers open slow. Beside the tea house rinse your hands and mouth to show you walk from rivers. Speak softly in shade, smell cool dew against your feet, hear nothing but light. Yatsuhashi leads across calm water, trains stars beneath the surface. Beside a black pine one stone looks up, one over; something speaks inside. Waves of sand move still around three green islands, yet mountains cry within. Weeping willows trace the arc of my back like clouds—one leaf trembles. Lotus in the pond; we must rest here awhile like wonted stones. As the sky, gravel; as rivers, flesh of peony; without me, you. Below is a piece I wrote for the local alternative newspaper, Prairie Fire (July 2010 issue). You can also link to the essay here. Unfortunately, it won't work in my memoir, so it's a stand alone piece. On May 23 my wife yelled to me from the back door of our house, “There’s a monarch on the allium!” The last two springs, this being our third here, we had not seen a monarch butterfly until around my birthday in mid-July. And frankly, I didn’t expect to see hardly any at all this whole summer. 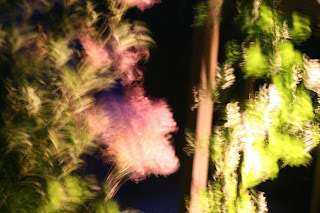 As I dashed out to the garden with my camera in hand, there it was, fighting 40 mph wind gusts, rising and slicing through the air to land on an allium, as bumblebees zipped around it like electrons. I knew the moment wouldn’t last. In 2007 my wife and I moved into our first home together, new construction on the edge of Lincoln. The holdout American elm in the corner of the quarter-acre lot had barbed wire still wound around its trunk, a property marker for some farmer’s previous field. As a child, I tended gardens with my mother in Minnesota, and as I grew older, confined to apartments, I knew I’d want a big garden someday. With a can of orange spray paint, and a day or two before the sod came in, I marked off 2,000 feet of beds and borders for an ornamental garden designed specifically for native wildlife and plants. Milkweed was first on the list. I actually knew little about gardening but meticulously researched Plains and Midwestern plants online, purchasing the right plant for the right spot—the dry hill and the mucky clay valley of my small yard. I dug $10 holes for $1 plants from morning to sunset in 90-degree heat for two summers. Some of the first plants were two Asclepias incarnatas (swamp milkweed) and an Asclepias tuberosa (butterfly weed), larval host plants for the monarch butterfly and named after the Greek god of healing, Asklepios. Milkweed is said to treat warts and poison ivy, remove mucus from the lungs, cool fevers and work as a contraceptive. You never know how you might need your plants. 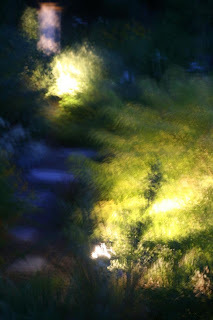 At night that first summer of gardening, I’d dream of black-laced orange butterflies and dozens of other insects and birds frolicking in my Eden. But I didn’t know what to expect. I was a book-reading graduate student, no botanist or entomologist. In 2008, when I noticed a yellow, white and black striped caterpillar, I really had no idea it was a monarch until I did a Google search. I didn’t know the 30 pen-tip-sized white pegs on the undersides of leaves were eggs that would hatch a few days after being laid. The monarchs had come like magic. Folklore states that if a butterfly flies into your face, cold weather is imminent. For some, it means that within 10 days sufficient frost will turn the leaves the same color as the butterfly. In central Mexico come fall, the monarch arrives at the end of a 3,000-mile migration from as far as southern Canada on the Day of the Dead, which marks the return of a deceased loved one’s soul. No one knows how these monarchs, several generations removed from their northward-bound ancestors, find their way back to their winter home. The Mariposa Monarch Biosphere Reserve (138,000 acres) lies in the central Mexican states of Michoacan and Mexico. While Angangueo is considered the unofficial monarch headquarters, the most prominent overwintering site is in El Rosario, where as many as four million butterflies—of an estimated 200 million—roost per acre in the fir and pine trees of the oyamel forests on only 12 mountaintops. The trees provide shelter from cold rains, which can freeze the monarchs, while they also hold in warmth rising from the forest floor. The conditions are precariously perfect, delicate microclimates, and only since 1975—as a result of ads taken out in Mexican newspapers—have scientists known the home location of the world’s only migrating butterfly. The summer breeding range of monarchs east of the Rockies is over 247 million square acres, but here the insects cluster in only a few colonies that range in size from one to 10 acres. Like massive dreadlocks, they hang from trunks and branches in suspended reproduction or diapause. These monarchs were born in September, and unlike the summer generations that live for only two to four weeks, they will last seven months until the February and March migration back north to Texas and the Gulf states, where they will lay eggs and quickly die. How can an insect with the mass of a paperclip make such journeys and endure? As I watch the July monarchs perform aerial courting—the male dive-bombing and grabbing at the female, hoping to get her on the ground for copulation—I find it amazing that their four thin wings don’t shred. In the heat, the wind, the miles of interstate, they dodge death. And then there are blue jays and orioles, who have learned to only eat the thoracic muscles to avoid the poisonous wings that contain cardenolides, which induce vomiting and heart attacks in predators. Tachnid flies lay eggs in caterpillars—maggots emerge weeks later from a newly formed chrysalis. An estimated 90 percent of monarch larvae never develop into butterflies, and the milkweed they depend upon in North America is quickly vanishing as 6,000 acres per day of habitat is destroyed by human development. Patches of milkweed are few and far between. Counties mow vital highway edges and destroy stands of it and nectar plants. Farmers plant genetically modified corn and soybeans that are herbicide resistant, so chemicals like Roundup are liberally applied, easily killing any nearby milkweed. In Mexico between 1986 and 2006, one-fifth of the Monarch Biosphere—where only some of the winter roosts are located—was illegally logged, resulting in nearly 26,000 acres of deforestation. How does the monarch persist? In the winter of 2009–2010, massive rain and hailstorms washed away local villages and monarch roosts in Mexico, resulting in an estimated 50–80 percent loss of the record low 4.7 acres of monarchs, down from the average of 18 acres. In 1996, a record high winter population was set at 44 acres, but in 1997, the population was just 15 acres. Again, from 1999–2000, the population went from 22 acres to seven acres, then in 2004 dropped to five acres. The Commission for Environmental Cooperation does not list the monarch as endangered but does list the migration as such. Scientists agree that with shifting weather patterns due to global warming, the overwintering sites in Mexico will be uninhabitable by 2055 as the Mexican mountains experience more rain. But with the fragmented and vanishing stands of milkweed in North America, it maybe won’t matter. In the spring of 2009, a dry Texas winter meant fewer milkweed for arriving monarchs, and a cold and wet Midwestern spring and summer slowed migration and inhibited milkweed growth. But perhaps the monarch is just a butterfly, just one organism, just one phenomenon among thousands on the planet. Or maybe the potential disappearance of one species would diminish human culture itself—the Native American Pima tribe cite the creator as having taken the form of a butterfly, for example. The monarch has spread to Australia, Indonesia, the Azores, the Bahamas and Spain through introduction, and the western population is relatively stable (and much smaller) as it migrates from British Columbia to southern California each year, so the monarch won’t vanish entirely. But the metaphor their lives represent is obvious. In Christianity the caterpillar’s two weeks of life represents our earthly self, the chrysalis our tomb, the emergence (10–14 days later for a monarch) is a casting off of our body and spiritual rebirth. The monarch is more than a reminder of ourselves, it is the center of our moral and ethical beliefs as another species sharing and taking care of the Earth, and in turn ourselves. Organizations like Monarch Watch, MonarchLab and the Commission for Environmental Cooperation are trying to make preservation and ecotourism a physically benign yet economically viable option for Mexicans who harvest the forest to heat homes, cook food and just barely survive. These same organizations work in North America on a seemingly different level—to appeal to our humanity, our compassion, our sense of wonder and aesthetic joy. Somewhere in the middle is the monarch butterfly. Somewhere in my garden now a female, slightly smaller than a male and missing two pheromone-producing androconium spots on two of its wings, may be laying eggs underneath milkweed leaves. She is tattered and faded, her short summer lifespan nearing an end, but a few of her 400 eggs will emerge as an echo of herself in four weeks, a rebirth noticed by our own ancestors long ago—a symbol of defiance and hope in a new world more reminiscent of small, carefully tended gardens than of one vast nature. Pictures of the garden at night (I wear my sunglasses...).